Quite a tragic figure in history. 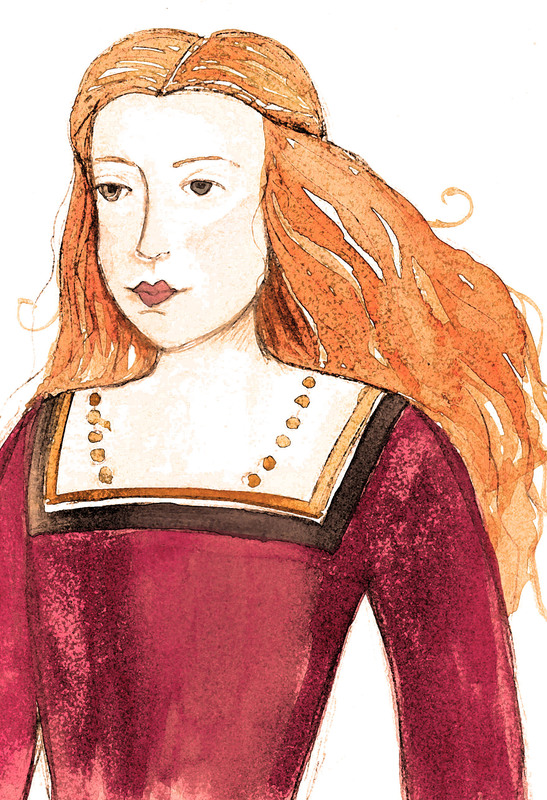 Amy was the unfortunate first wife of Lord Robert Dudley- Queen Elizabeth’s crush. Amy was married to Robert at the age of 17. When he was arrested for high treason, she visited him at often at London Tower, bringing presents and news of the outside world. For her kindness and devotion, Robert abandoned her without explanation. The truth was, it was widely known that he had hopes of marrying Queen Elizabeth. Rumors spread quickly regarding the affair between the disliked Duke of Northumberland and the Queen. Many said he and Elizabeth were plotting to murder his wife in order to begin their life together. Poor Amy, who suffered from breast cancer, was found dead at the foot of the stairs from a broken neck. Some say it was suicide (because she had insisted on being alone that morning), some say it was an accident (breast cancer can cause bones to be brittle and break), some say it was murder. The suspicious part is that Elizabeth told a Bishop that “Robert’s wife was dead, or nearly so” well before the news was broken. Hmph. Also suspicious- for falling down a flight of stairs, Amy’s headpiece was in perfect place. Whatever it was, he got his in the end as Robert is thought to have been poisoned by his second wife- Lettice Knollys.